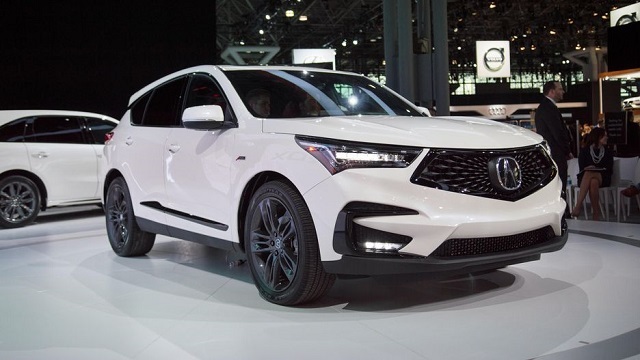 At the 2018 Detroit Auto Show, the Acura manufacturer has surprised us all with its brand-new 2019 Acura RDX. The RDX prototype seems to be the production version of the third generation of this model. It is bringing a number of major changes which will make it one of the leading models in the luxury SUV class. It won’t be easy to beat and it will find main rivals in Volvo XC60, Jaguar F-Pace, BMW X3, Mercedes-Benz GLC, and Audi Q5. 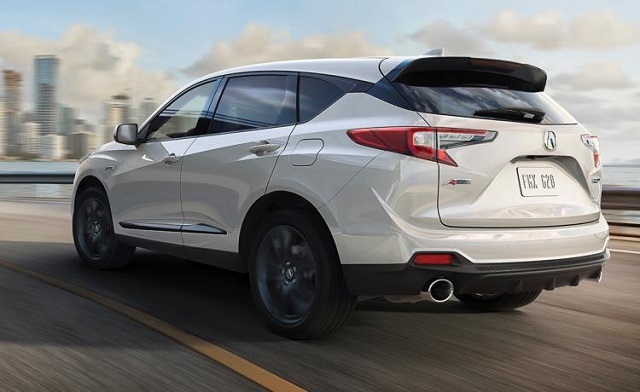 First of all, the all-new RDX will ride on the entirely new platform which will be first used on this model. This new architecture will make the 2019 RDX larger than its forerunner. This will directly affect the size of the cabin and cargo space, meaning more comfort and more space. Furthermore, the Acura will adopt the new styling making it more attractive. The luxurious and well-designed cabin will draw attention from the instant with some new tech features including a large display with touchpad interface and premium sound system with 16 speakers. On the engine front, the new RDX should drop its 3.5-liter V-6 in a favor of the new one. 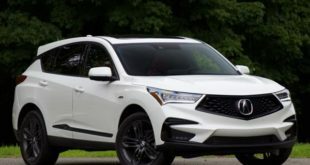 The 2019 Acura RDX will no longer use a 3.5-liter V-6 but instead, a 2.0-liter turbo-4 unit which is a version of the same engine which powers the Honda Civic Type R. This engine is rated at 272 horsepower and 280 pound-feet of torque. It will be paired with the new 10-speed automatic transmission. The all-wheel drive system will be available also. 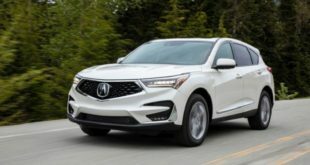 The 2019 Acura RDX will use the new platform which will make it larger than the current model. Precisely, its wheelbase will be stretched to 2.6 inches which will improve cargo space. This architecture uses more than 50 % of the high-strength steel making it more aerodynamic and fuel efficient. 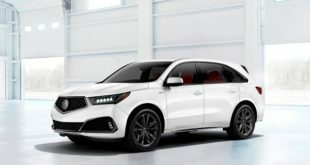 The exterior of the 2019 Acura RDX will be refreshed and it will now be lower and wider than its predecessor. The front fascia will be restyled with the new five-pointed grille, new LED headlamps, and revised air intakes. The base version will come with 19-inch alloy wheels while the A-Spec model will ride on the larger 20-inch wheels. As well, the A-Spec trim will feature gloss black details. The interior will represent a combination of luxury, quality and top-notch technology. The materials used inside are of high quality and those include wood, aluminum, synthetic suede, Milano leather. The new sport seats will also be offered this time. In the A-Spec version, you will be able to choose between two-tone red and black upholstery. 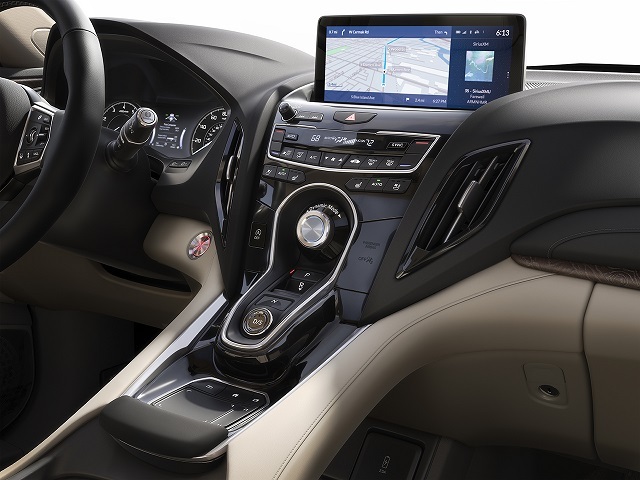 The dashboard will feature the large 10.2-inch display with the newest True Touchpad interface. The standard equipment will include Wi-Fi, 4G LTE connectivity, a panoramic sunroof, keyless ignition, Apple CarPlay, 12-way heated front sport seats etc. Some of the optional features will be 16-way adjustable seats, head-up display, and ELS sound system with 16 speakers. The safety systems will include adaptive cruise control, active lane control, automatic emergency braking, and lane-departure warning. 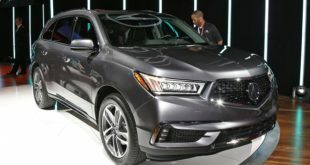 The 2019 Acura RDX has just been presented, but it is not known when exactly will go on sale. The price is also not yet available but we assume that it will definitively be higher than the price of the current model. The outgoing model starts at around $36,000.